I love a good book. Just ask my local library, where my fines are currently....$11.70. Since it's so close to Christmas, I'm giving away TWO fabulous books today. Both would make wonderful gifts for the holidays! Well, Sandy has made me a changed woman. Entertaining is not about being Martha Stewart (love you, Martha); it's about hospitality. It's about the people you'd like to invite into your home and get to know better. It's ok to entertain even if you don't have 8 matching soup bowls. 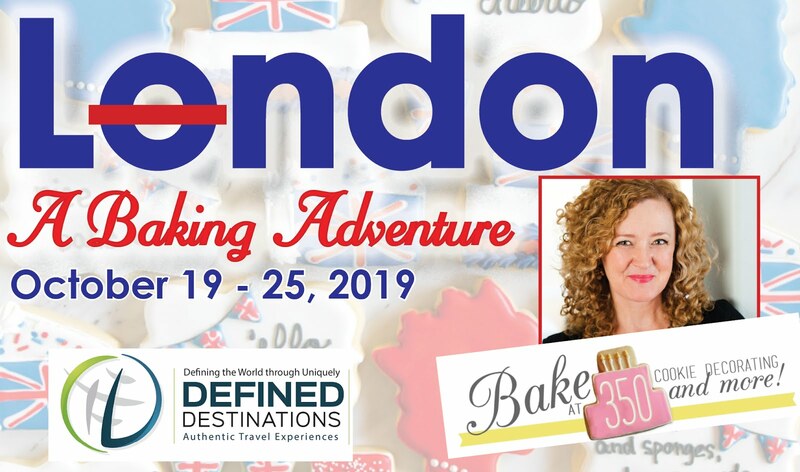 I had heard a lot about this book because so many of my favorite bloggy friends are featured in it: Meaghan from The Decorated Cookie, Amanda from i am baker and Marian from Sweetopia to name just a few. Well, if you want some baking inspiration, this is the book for you! 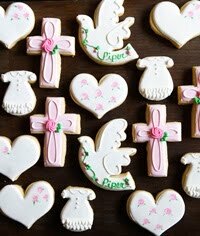 It is PACKED with gorgeous, inventive cookies, cupcakes and cakes. I was wowed on every page. The book doesn't have step-by-step instructions, but in the back of the book, it does list the elements used, such as fondant, royal icing, etc. This is another QUICK giveaway....the winners will be picked Thursday, December 16th at 8pm CST. I love my Better Homes and Garden Cookbook, but lately get most of my recipes from blogs. I would love to learn about entertaining and get over my fears of it!! I don't own many cookbooks but the one on my counter is Pioneer Woman's. Most of the time I google for recipes. My favorite entertaining book is Williams-Sonoma's Entertaining. I love when a book shows you not only recipes, but how to tie it all together in a pretty way. I have neither of these books!! The good housekeeping newly wed cookbook! I am a reluctant entertainer as well! I feel like my place is always a mess and that my slobbish ways will be judged and therefore nobody will eat the food because I am a slob! Haha! My current favorite cookbook is RLB's Bread Bible (an oldie) because it has given me the courage to make bread! My favorite entertaining is our weekly game night with a few of our still single friends every Wednesday. My husband had game night before we got married 9 1/2 years ago and we have kept it up, only missing a dozen or so nights. I like to make treats that day because they will help me eat them. my current favorite cookbook is Pioneer Woman's - she makes the kind of down home food I grew up with! I don't have ANY cookbooks. But I do love to frequent Allrecipes.com and find some new recipes. I think of it as a rated cookbook. I'd love LOVE L-O-V-E to have a copy of 1000 cookies though! It's a picture book for entertainers. I honestly dont have any!! =( I totally need these! I don't own an an entertainment book yet. Right now, i'd have to say my favorite cookbook is the one my grandmother's homemade book that she put together over the years, it's got a bit of everything. I love any of the Gooseberry Patch or Paula Deen cookbooks!!! I love my Cooking Light "year-in-review" cookbooks - they have a recipe for almost anything I could need, and I don't have to feel guilty! I only started my foodie adventure 4 months ago and still have yet to acquire any cookbooks. I know, sad. Much of what I do comes what I find on the net or in magazines. I'd love to be able to learn to bake and decorate better as well as how to entertain. Both of those books would be a real treat to add to my home. I have been downsizing my CB collection, but still use the one from my kids' grade school for simple, fast, tried-and-true recipes. Mostly looking online these days! Have a spot saved for these already! Oh my, I don't have either of these books but want them both! I love to entertain and can always do better. The Magnolia Bakery cookbooks are my all time favs! I don't have either of these books. My favorite entertaining cookbook is Paula Deen's "The Lady and Sons Just Desserts" b/c everything I have tried has been great and they are always big hits! My favorite cookbook is Ina Garten's Barefoot Contessa at Home. LOVE it! My favorite is Barefoot Contessa Back To Basics. Her recipes are very well written and always delicious. Plus I love all the tips and menus throughout the book. I'd like a copy of reluctant entertainer b/c I don't always have the time to do a fancy martha style event. My favorite cookbook is Pirate's Pantry by the Junior League of Lake Charles. I don't have any entertaining books, my favorite cookbook right now is "Taste of Wyoming" I got it at a family reunion auction and have made several of the recipes. Like so many others, I get most of my recipes from bloggers like you. The first cookbook I ever bought was a Betty Crocker cookbook, though, and I still use it alongside my Better Homes & Gardens book. I'm currently working my way through Williams-Sonoma's "Comfort Food." The Lasagna Bolognese sauce literally (figuratively) blew my mind. So good, it almost didn't make it into the pan and has officially replaced my other recipe. For entertaining, Amy Sedaris' "I Like You: Hospitality Under The Influence" is hilarious. Good/cheap/insane ways to keep dinner parties fresh. I got it as a gift a few years ago and still go back to it now. I don't have either of the books that you've mentioned in your giveaway. My mother-in-law recently gave me the Pioneer Woman's cookbook and it has become a fast favorite. As a novice baker I really appreciate all the great photos. I don't have either of these books but would love their expertise! 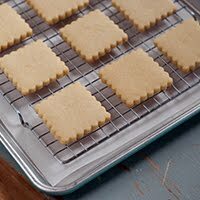 I found your blog after your cookie retreat with the Pioneer Woman - made your cookies (well... one giant cookie) for my daughters first birthday... turned out amazing! THANKS! Those cookbooks look great! 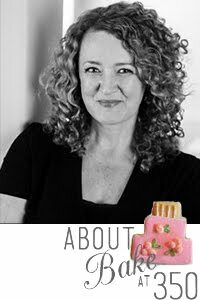 I use 125 Best Cupcake Recipes by Julie Hasson a lot. Tons of great ideas and they're all pretty easy to whip up. My favorite all-time cookbook is (don't laugh at me!) "Clueless in the Kitchen." Even though I'm no longer a teenager and no longer "clueless," the recipes are just so easy and delicious, I can't give it up! I am not the best entertainer but am trying to do better! I live by Paula Deen! I don't think I've gotten a bad recipe from her! Looks like two great books. I have the reluctant entertainer and can't wait for a quiet moment to dive into it :) December is so hectic, it's sitting on my desk just patiently waiting for me. I'd love the 1,000 ideas book-it looks right up my alley! I love my new Best Recipe cookbook! I just got it around Thanksgiving and already it's a favorite. My favorite is one my mom made for me with all the family recipes in it! 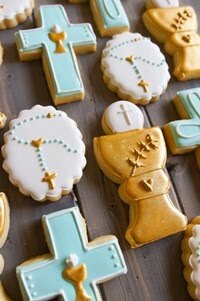 Right now I'm using Cookie Craft for inspiration and fun Plus, their nutty cookies taste like Pecan Sandies! I love all my martha stewart baking cookbooks, but I get great recipes from the internet. Most of the time I just use recipes from our collection of family favorites, but I l.o.v.e. Cook's Country magazine. I would love to entertain more if I could figure out how to pull everything together to look really nice. Christy Jordan's Southern Plate is my current cookbook of choice. Working my way through all the good southern recipes! I'll have to say this year my favorite book is Serena's "Farm Chick's Christmas". It's so fun to look through, as well as get ideas from. Thanks for the chance to win! Krystina Castella's Crazy about Cupcakes is my favorite. I don't have either of your giveaway books, but I'd like to add them to my collection. I love the Pioneer Woman's cookbook. It is my absolute favorite! I also use the internet a lot to find fun recipes. I'm a fix and forget it cookbook girl, OR i have a binder full of recipes that I've found online. Those are my two go to recipe books. I do NOT have either one of these books, but would LOVE the decorating idea book!!! I don't have either of these books, so until then, my favorite entertaining book is this Tapas/small bites book that I can't recall the name of. The name isn't important, the fact that it's full of delicious, generally easy-to-make things and useful tips on putting them together with other dishes and themes, that's what's important! I get most of my recipes from blogs these days, but the Better Homes and Gardens is what I started out with in college. Right now I am utilizing my Gooseberry Patch Christmas book, and enjoying it! I love the America's Test Kitchen cookbook I have, but always am wanting more cookbooks! I don't have either, but they both look fabulous. Right now, my favorite cookbook is a book my family gave me as a wedding shower gift with a collection all kinds of recipes from my mom, grandma and aunts! a family cookbook! I love having my friends over for dinner. However my boyfriend tells me I over do it. My favorite cook book right now is Mosh Potatoes. Full of recipes from rock bands. What a wonderful giveaway. I love Reluctant Entertainer. My favorite entertaining books are by Susan Branch. My favorite entertaining books are the Southern Living Christmas series. My mother-in-law has given me one every year since our first in 1995. They are full of decorating ideas. Home made gift suggestions, and delicious recipes. I am loving last years Taste of Home Christmas cookbook right now. Last week my husband and I attempted the soft pretzels--they were delicious! I would love to add either of the featured books to my still small collection of cookbooks. My go to book this season has been my Christmas With Southern Living 2005. I don't have your giveawy book, but would love to receive it! William Sonoma Entertaining is my go to! I can't get enough of Pioneer Woman Cooks! It's my go to book for any ideas I need from breakfast to dinner parties! I have neither of these, but would LOVE either!! I don't really have any good entertaining books but both the books you mentioned look amazing. I would love to win! Thanks for the giveaway! My new favorite entertaining book is one I found in the Barnes&Noble bargain bin last week actually (whose name of course I can't remember). Such a steal! My favorite entertaining book is Celebrations by RealSimple. It has a little bit of everything for every occasion/holiday! I dig into my Food Network magazines when I am looking for something new to cook! I do not have either book--they both look great! I love the Flour Pot Cookie Pot for cookie inspiration! I have neither of those books, they look fantastic! My favorite baking book is (duh) "Baking", by James Peterson. So many great little tips! How does anyone pick just one?? Better Homes and Gardens is the basic one that I always fall back on. But I love them all! My favorite cookbook is the one my mother put together for me as a wedding shower gift. It's full of my favorite family recipes. I have a few good cookbooks, but none are as good as the handy dandy internet. 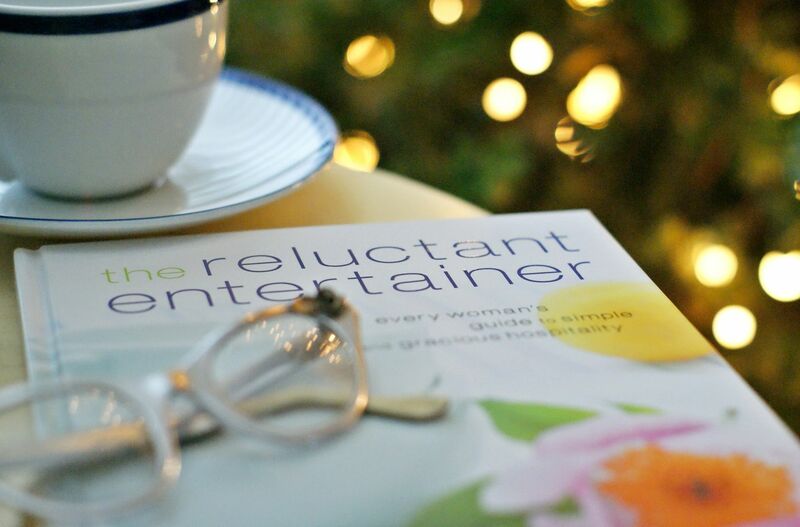 The Reluctant Entertainer sounds like a great Christmas gift for my mother, she used to love entertaining, and this might be just the trick to get her hosting parties again. I would love either of these new books! I love all of Ina Garten's books! They are great for entertaining. Most of my recipes are from the internet, but my latest new cookbook is Pioneer Woman's. Would love to have these! Southern Living Entertaining......It's tattered and torn and splattered all over. I'm currently loving Cakepops by Bakerella. Just made my first batch last night!! To be totally honest I don't really have any great cookbooks :( I have a Better Homes and Gardens book that I look to for all the techniques but then I just go on the internet to find recipes and ideas. I'd love one of these books! My current favorite cookbook is Ree's The Pioneer Woman Cooks I love it! Awesome giveaway! My favorite cookbook as of late has been one made by my niece. So fun! My current favorite cookbook is Cookie Craft Christmas! It has been fantastic inspiration for my holiday cookies this year. I don't have either of the giveaway books and would love either! my current favorite isn't even a cook book, but a magazine! i know, for shame. i picked up a magazine filled with Appetizers so i could get new ideas for our Christmas party this year. would love to win these books and have a hard copy close at hand when planning! I don't have a favorite cookbook mainly because I use so many! I love PW's cookbook and my Paula Deen cookbooks. But I use blogs for inspiration too. I am not sure I have a favorite cookbook although my standard is the Fanny Farmer. I do have a couple of favorite un-cookbooks. Matthew Kenney's Everyday Raw and Ani Phyo's Ani's Raw Desserts. I do not have either of the books you have there. Would love either but especially the dessert decorating one!! I don't have any entertaining books yet, but my favorite cookbook is "How to Cook Everything Vegetarian." Very helpful for me! Currently, my favorite cookbook is Pioneer Woman's cookbook. 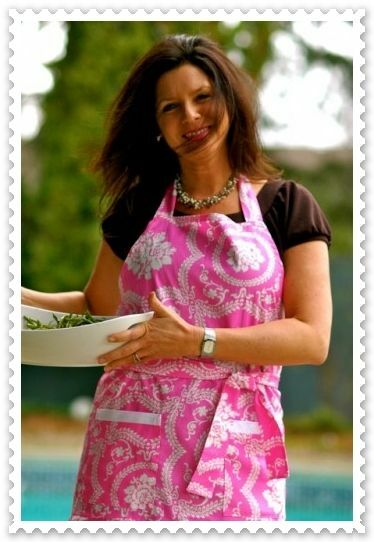 I love her recipes and her attitude about feeding her family... it is definitely a keeper! I do enjoy my Martha Stewart cooking school cookbook, but that does take effort to put a meal together worthy of guests! These cookbooks sound amazing! I tend to use the internet for recipes more than cookbooks, but would love both of these cookbooks!! If I had to choose a favorite cookbook it would Pioneer Woman's! I don't have either of these... I mostly rely on blogs like yours and pioneer woman to help me with my food choices... but decorating for entertaining is beyond me! My current favorite is Downhome: Downtown, A Sonoma County Cookbook. I purchased it while visiting in Sonoma and it has lovely photograhy and delicious recipes using seasonal ingredients. Would enjoy adding these books to my growing cookbook collection...I especially need the encouragement on entertaining! I don't have either of these books. But right now I'm loving Hello Cupcake and What's New Cupcake. Plus every edition of Martha's Christmas Cookie Magazine from the last 6 years. What a wonderful giveaway! I love my Baked Explorations book. I would love to add either of these fabulous books to my collection! Gotta be honest - my absolute favorite cookbook is the one I put together from over a hundred friends and family. It's a simple thing, just pages we print out for ourselves from the file, but the recipes are all tried and true and we update the book every few years. I don't have a lot of cookbooks (or either of the two you've shown), but I would love to get my hands on these! They look great! I do not own either of these but right now my favorite cookbook is The Pioneer Woman cookbook. Love the step-by-step pictures! My favorite cookbook at the moment is "All About Braising" by Molly Stevens, and I don't have either book, but they both look delightful! I don't have either of these books and I would love the one on cakes and cookies. It looked great. My favorite most useful cookbook is probably the Better Homes and Garden cookbook. I also like the Taste of Home bakesale cookbook. Awesome giveaway! My current favorite cookbook is the Pioneer Woman's cookbook. I love it. I collect cookbooks and would love to add these to my bookshelves! My current favorite are Bakerella's cake pop book and Hello, Cupcake. Such fun ideas!! I don't have either of these books, and I don't really have any 'entertaining' books at all. I do like cooking just about any dish from The Pioneer Woman's cookbook, though, because everyone always loves it. My red & white Betty Crocker cookbook from the 1980's. I love my Paula Deen cookbooks. Paula Deen Celebrates is one of my favorites. I just tweeted it as well. I do not already have one of these books. My favorite entertaining book is Vegetarian Celebrations by Nava Atlas. Thanks! If I have to turn to a book, my favorite is Taste of Home. As far as the entertaining part, I have been a college student for a year and nine months. When I entertained for Thanksgiving, my welcome speech was: "Come in, eat hearty, enjoy yourself, and don't pay attention to the house that has been ignored for a year and nine months." It worked!! I have been using PW's recipe book for quite a few dinners, although one of my standbys when I need a recipe for a get-together is Joy of Cooking! My Better Homes and Gardens cookbook is my favorite. But I'm starting to get into cookie decorating so I'd love that book! I have many of Southern Living's cookbooks and I love them. These books both look fabulous! I'm in the process of building my cookbook library after relying on the internet years and I just might have to add these if I don't win! I love hosting intimate dinner parties. A few friends and good food is an foolproof recipe for a good time! I don't own it yet, but hope to after Christmas - it is Pam Anderson's Perfect One Dish Dinners. 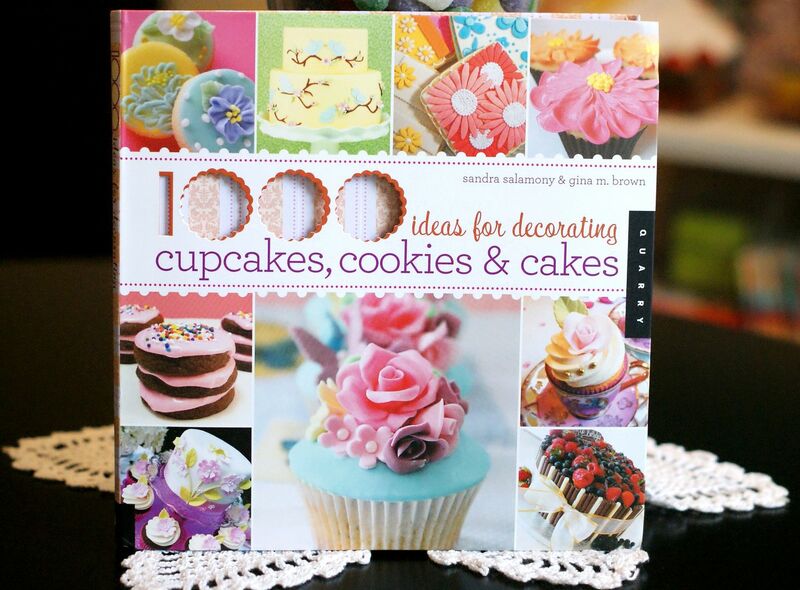 I would love to add 1,000 Ideas for Decorating Cupcakes, Cookies & Cakes to my collection! My current favorite cookbook is Rose's Heavenly Cakes. I'm currently baking through it (as part of Heavenly Cake Bakers) and am on cake No. 50 (out of 93). I don't have either one of the 2 cookbooks. The 1,000 ideas one looks so good! I LOVE Williams Sonoma Holiday Entertaing book too! It's filled with great table setting and decor ideas as well as elegant and easy recipes! My current favorite book is Holiday Cookies by America's Test Kitchen. Love all the cookie recipes in it! I have the In Style entertaining book. Not to mention recipes from Boy Meets Gril, cant beat that. I love to get most of my ideas from blogs. I don't have any entertaining books, but this one looks great. My favorite cookbook is one from the women in my church congregation when I was growing up. All the recipes are tried & tested! My favourite cookbook is Dorie Greenspan's Baking, From My Home to Yours. Because in my mind, every great dinner party end with a fantastic dessert (the guests remember the chocolate fudge cake and not the kitchen curtains!). I have so many favorites but I would have to say the Sur la Table baking book. Its HUGE and has so much good information in it! My favorite right now is Gluten Free Girl and the Chef's book/cookbook, but both of these look wonderful!! I don't have either of those books but they look great! My favourite is a cookbook on soups and the good ol' Betty Crocker cookbook. I don't have a cookbook, just one that I've pieced together from favorite recipes! My fave cookbook is the traditional Better Homes and Garden cookbook! Both of these books look really nice! I love my Gooseberry Patch Christmas books. One of my favorite cookbooks is Betty Crocker's Ultimate Cake Mix Cookbook - All of the recipes use a box of cake mix! Super easy and super delicious. Thanks for hosting this! The one cookbook I have to have in my kitchen it the Joy of Cooking; because if I don't know how to make something(i.e. Artichokes or eggplant), I can look it up there. I am really interested in the reluctant entertainer. That looks great! 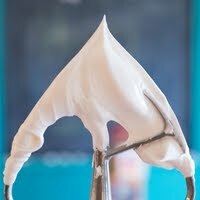 I am in love with pretty much anything that has to do with baking. i always stop and drool over cook books, but I never buy them. Its hard on a student budget :( I usually print off recipes I like from the internet, but I dream of having cook books galore one day! I love the Southern Living cookbooks-they have so much variety! I really like my Sandra Lee Semi-Homemade slow cooker recipes. I love slow cooker recipes, and she has a lot that aren't just the same soup, chili, and stew like every other book. Those two books sound awesome! I don't have them yet, but I think it would be really neat to win (and if not find them on Amazon). My current favorite is the Junior League of Houston's newest, "Peace Meals"! I'm a wanna be entertainer, and don't that often, but picture are inspiring and recipies are different from the basics I find elsewhere! I'm not sure if I have a favorite entertaining book but I do enjoy reading "Real Simple" magazine. My favorite cookbook is the old standby "Joy of Cooking". It normally has what I am looking for. I love any cook book from the Cake Mix Doctor! Who doesn't love being able to pick a box up at the store, add a few things and make something delicious! Honestly, my favorite "cookbook" is comprised of my favorite recipes from my family and from all the blogs I read. :) I do not currently own either of these books, but they both look lovely! I don't have a favorite - which may be why we don't entertain very often. I would love to entertain more for sure! My absolute favorite book is the 2007 Taste of Home Christmas Cookie recipe book. It's actually one of the $4.99 paper books that sit next to the checkout counter at the grocery store...but it has the BEST variety of Christmas cookies, and I use it every year...not just during Christmas time, but all year round! Several of the recipes have become regulars in my household. BTW, I am buying that decorating book, whether I win this or not! My mom would LOVE that, so thank you for posting about it! Better Homes and Gardens! Such a good classic! Thanks for the chance! My go-to cookbook is The Best of Cooking Light. The Angel Biscuits in that cookbook have become the must-have item at every holiday dinner! I love the 'wichcraft book I just received. So yummy! I just got Artisan Bread in 5 minutes a day for my bday and I can't wait to bake so fresh bread for my next dinner party! 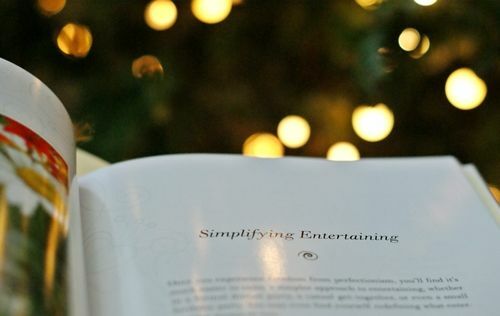 my favorite go-to party book is the Real Simple CELEBRATIONS! I do not have either of these and would LOVE them! My favorite is the Pioneer Woman's Cookbook. And both of your giveaway books look great - I don't have either one! I don't currently have an entertaining book, but this looks like a great way to start that collection. Side note... I won 1st place for 'appearance' at a work 'cookie smackdown' contest. I learned my decorating tips from your blog... so THANK YOU!!! 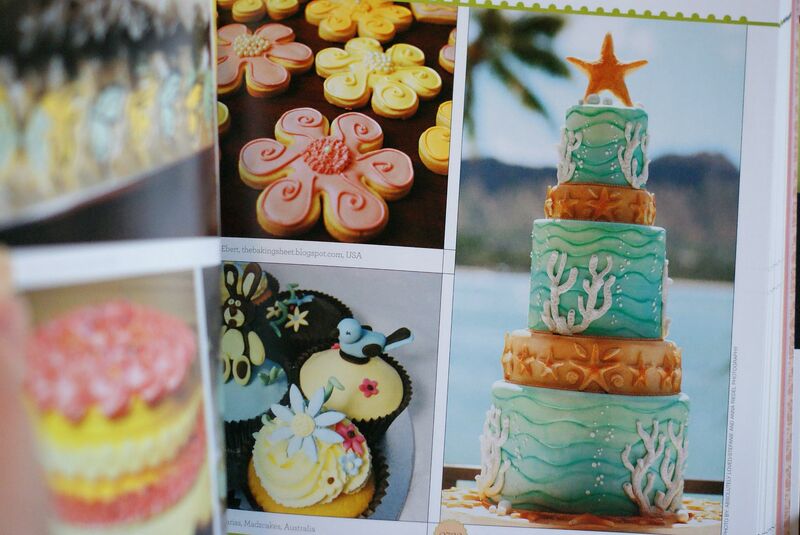 My Cookie Craft book is my favorite book right now. 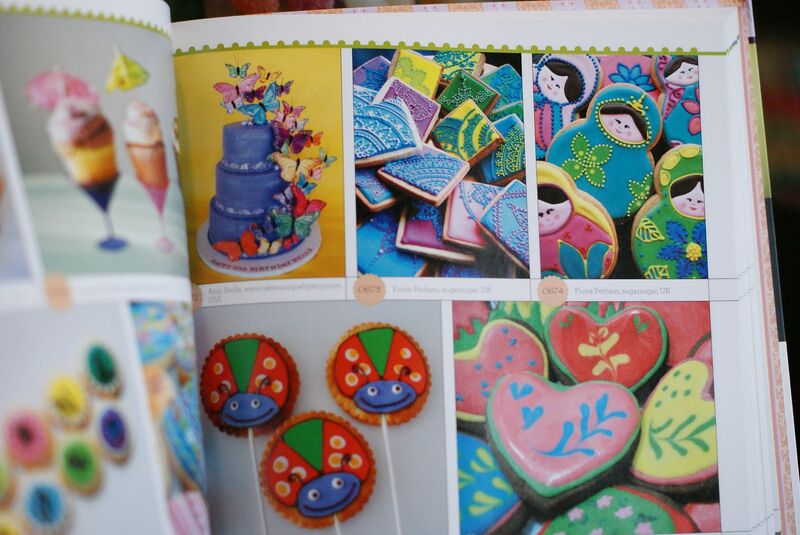 I just got into decorating cookies and this book is oh so fabulous. I do not have either one of these books at home....they would be great to have!! I love my PW cookbook, have almost made everything in it!! I have several favorites but the 2 I look at the most are Cookie Craft and River Road Recipes. I love my "Martha Stewart Cookies" book. Every time I make one of the cookies I put a little note about who it was for and when I made it. I hope to pass it on in my family some day! Sadly I don't have any cook books. I call my mom every time I need a recipe. I'm not a great cook and I try my hardest. I am improving though. I rarely invite people over to eat because I'm too scared they will hate my cooking lol I am a much better baker and that is thanks to you! I love your recipes! I just made your gingerbread & royal icing recipe to make gingerbread houses. My kids loved it! I don't have any books like either of these and would LOVE to learn more about entertaining and decorating baked goods. My current favorite a a homemade cookbook that my husband's family made - I love the tradition and stories behind favorite recipes. I have my Better Homes & Gardens cookbook, the breast cancer one that I go to for lots of things. I am a recipe junkie though, and love to get recipes and ideas off the blogs that I follow. I have a William Sonoma Christmas book that I love to use for holiday entertaining. I don't really have an entertaining book, but I would love one. Thanks! I love Pioneer Womans cookbook. Although, I have just discovered your blog and am loving all your stuff and university of cookie. I would love to have this cookbook. I mostly use blogs for recipes, but I love my Better Homes & Gardens cookbook...It's a classic! I love entertaining and I just recently took cake decorating classes so I would LOVE to have more design ideas! I don't have an entertaining book, per se, but have enjoyed the tips that the Barefoot Contessa provides through some of her books. My favorite cookbook right now is the Gluten-Free Almond Flour Cookbook because my sister has Crohn's disease and that cookbook has all the best recipes for her! But I would LOVE these cookbooks! I don't really do any entertaining...well, except for two kiddos. But I like my Joy of Cooking because it's a great starting point for ideas. I really don't have a favorite cookbook yet. I don't have those books, but they like like really amazing. I have used a couple of the recipes from Deliciously Deceptive, and they have been pretty good. I do not have this book, but looks like it is right up my alley! 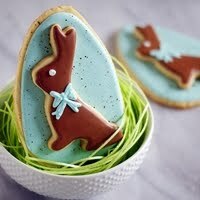 I have gotten alot of use out of the Martha Stewart cookie recipes book! Do not have either of these books already, would love the cookies, cupcakes, and cakes book!!! Bittman's How to Cook Everything ~~ what a great source book for the dilemma of "i don't know what i want!" i love my vintage early 60s BH&G "new cook book"
My current favorite book is "Little Cakes" from the Whimsical bake house. I currently do not own either of these books, but they both look amazing! I love my Better Homes and Garden cookbook. But, these days I mainly check out food blogs. 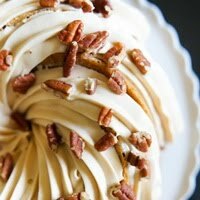 One of my other favorites is The Pioneer Woman! She is so funny. I turn to Martha's book. Always look there first. She seems to know everything! I always turn to Martha first. She seems to know everything, but I pull from Williams-Sonoma's entertaining book and some online sites. My favorite cookbook is the Pioneer Woman's! My current fave cookbook is Bakerella's Cake Pops. Can't wait for my next birthday party! I'm always referring to the Neiman Marcus cookbook- the recipes and photos are amazing! I am loving the Farm Chicks books right now. Totally gets me in the festive mood and so many ideas for decorating, spiffying up for guests, cooking and baking. LOVE em. I don't have Sandy's book or the 1000 ideas. But both look fabulous! Would totally love to win the 1000 ideas. Thanks for the chance! PW Cookbook. I have neither of these books but would like either one.